OAKLAND, Calif. – With the City Council’s unanimous passage April 18 of a resolution calling on the city’s employers to establish sanctuary workplaces where workers are respected and not threatened based on their immigration status, Oakland became the latest community to call on local businesses to pledge they will support its sanctuary city commitment. The vote came two weeks to the day after neighboring Emeryville took similar action. The resolution, introduced by Councilmembers Dan Kalb and Abel Guillen, cited the Trump administration’s greatly intensified threats to deport undocumented immigrants. 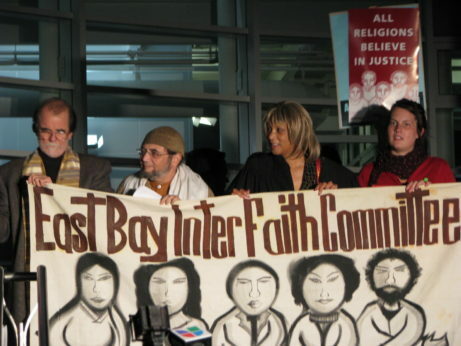 The resolution also celebrated the 10th anniversary of the victory of workers at Emeryville’s Woodfin Hotel, as an example of the way workers and communities can beat back an employer’s campaign to use immigration status against workers’ effort to organize. At a rally outside City Hall before the City Council meeting, a street theater performance dramatized the various stages of the workers’ fightback. Workers, labor and community supporters described the conditions that led to their campaign and the steps through which they won their victory. 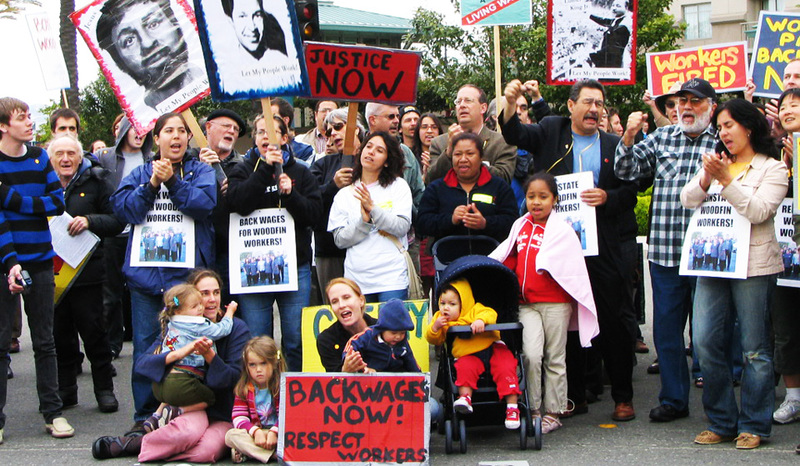 The performance dramatized the campaign that in 2005, brought passage of Emeryville’s Measure C – a ballot measure to bring a living wage and fair workload standards to workers in the city’s hotels, including the Woodfin. When the Woodfin refused to comply, the hotel countered workers’ demands by illegally putting 21 workers on unpaid leave, citing their immigration status. 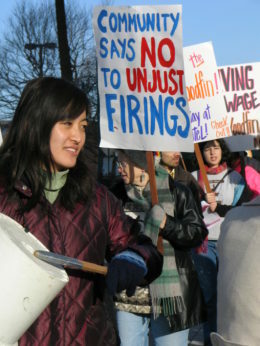 The city, labor and community organizations backed the workers, alleging they were fired for their efforts to organize a union. Under a court order, the workers returned to their jobs, and after a years’ long struggle, they won a $125,000 settlement. Since then, workers at the hotel – now called the Hyatt House – have organized with Unite Here Local 2850 and work under a contract including sanctuary workplace rights, a living wage and safe workload, family health benefits and other protections. Longtime Woodfin worker Maria Martínez said before Measure C, workers had to clean 16 suites – each with living room, bedroom and kitchen – in an eight-hour workday, and when they couldn’t finish the work they had to finish up off the clock. “Working in that environment was very stressful,” she told the rally. 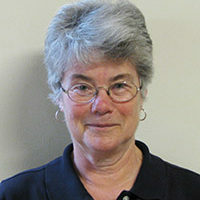 “There were actual threats on a daily basis … the fight was long and hard, we fought for eight years to be able to organize a union.” She thanked supporters including the City of Emeryville, and told how the Measure C campaign opened the way for the city to pass California’s highest minimum wage – $15.20/hour for large employers, which goes into effect this July. Speaking during the City Council meeting, West Oakland resident Ray Kidd told how he had picketed with the Woodfin workers 10 years ago. “Because of all their efforts, and their allies in the community and labor and elsewhere, they found a reasonable resolution to their problem.” In Oakland, he said, “we want to make sure this kind of situation doesn’t happen” and that workers will have rights and protections. While the Oakland and Emeryville City Councils have been taking action, legislation is wending its way through the California legislature which would give undocumented immigrants “affirmative protections” against indiscriminate raids by Immigration and Customs Enforcement (ICE) agents. Assembly Bill 450, introduced by Assemblymember David Chiu, D-San Francisco, would require employers to ask for a judicial warrant before granting ICE access to a worksite. It would bar employers from sharing workers’ confidential information, require employers to notify the Labor Commissioner and workers’ representative of a workplace raid, and prevent employers from retaliating against workers who report labor claims. The measure passed the Assembly’s Labor Committee on April 19, and is now headed for an April 25 hearing before the Judiciary Committee. Earlier this month the state Senate passed Senate Bill 54, introduced by Senate President Pro Tem Kevin De Léon, D-Los Angeles. If the Assembly also approves it, the measure will go to Governor Jerry Brown. Note: All photos in article are from 2007 and 2008, and were taken by Marilyn Bechtel/PW.